An OptiPic plugin for image optimization in Active Page CMS provides an average of 70% of image reduction. This allows loading the site 1.5-2 times faster. The peak values for the optimization of images in Active Page CMS reach 90%. This provides more space on server disk and cuts expenses with no need for the purchase of disk quota. Image optimization in Active Page CMS keeps working all the time of the website functioning due to the automatic optimization of newly added images. In fact it takes only 2 minutes to set up OptiPic service with no further involvement in its operations. There are no restrictions in optimizing images for Active Page CMS. OptiPic provides excellent performance with a large number of images and is capable of handling gigabytes of files with minimal load on the service. How can optimizing images for Active Page CMS speed up a site? 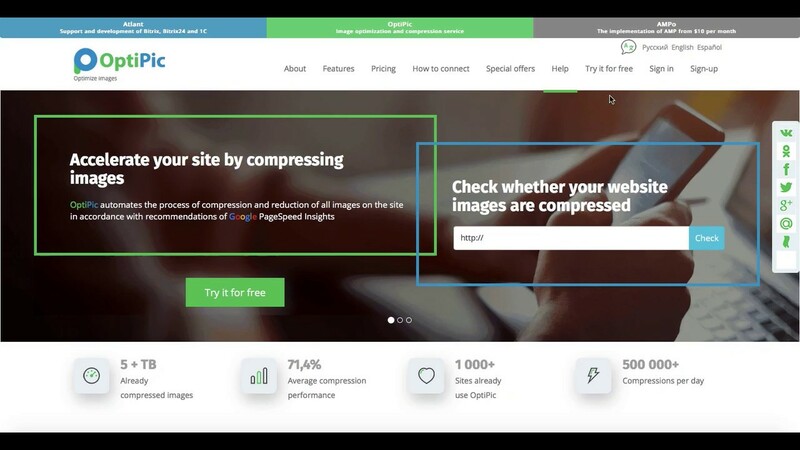 How to get started with OptiPic service for Active Page CMS for image compression?